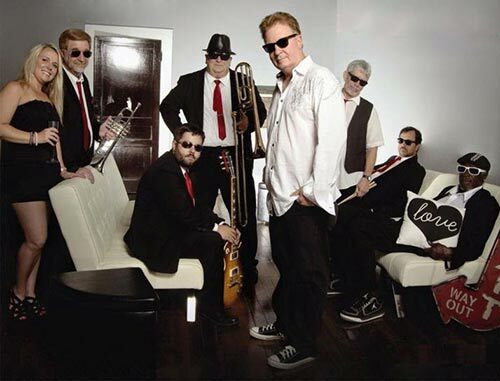 Come have a good time with Johnny Earthquake and the Moondogs at Bands on the Beach from 7-9 p.m. on Tuesday, July 2 at the Gulfside Pavilion. Johnny Earthquake and the Moondogs were formed nearly 20 years ago by a group of friends getting together to jam and play a few parties. It has grown into one of the south,s best known and in-demand showbands. The Moondogs feature 10 to 12 pieces of blistering, high-energy rock, R&B, swing, funk, soul, zydeco, country, and just about any other genre, of music you can imagine. Led by frontman/singer Johnny Earthquake, the band relies heavily on the angelic harmonies of its duo of female singers and one of the tightest and funkiest horn sections anywhere. Bandmember Rodney recently was inducted into the LA Music Hall of Fame.